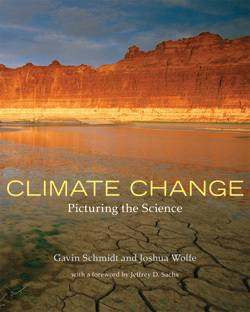 This is the perfect book to give someone who doesn’t know much about climate change but is interested in knowing more. It is authoritative but non-technical, uncompromising but never shrill or aggressive, and lucid but not simplistic. Schmidt is a climate scientist at NASA and co-founder of RealClimate, and in the latter role he has patiently explained climate science to all comers from school children to fellow experts, for years. He is very, very good at it and here he has recruited similarly well-qualified people to write on specific topics. Any single chapter can stand alone, making the book simultaneously very browsable and a useful fill-the-gaps reference. Schmidt’s over-arching metaphor for the book is the health of our planet: Symptoms, Diagnosis and Cure. It’s a good metaphor (the Buddha used it 2500 years ago, so it has a good long track record!) and it lets him organise a complicated mass of material into a coherent story about how we know what’s going on around us, why it’s happening and what’s likely to happen, and how we might avert the worst of the likely consequences. So far, so much better than most books on the subject, but it gets better still. His co-author is a photographer and the book is copiously illustrated with excellent photos – scientists at work, hurricanes, threatened species, Arctic houses subsiding into thawing permafrost, air pollution in Beijing … all sorts of images, and all relevant and memorable. Longer reviews: Nature and Daily Kos.